Gold futures inched down Monday, putting them on course to settle lower for the first time in a dozen sessions. February gold GCG8, -0.08% fell by $1.80, or 0.1%, to $1,320.40 an ounce, while March silver SIH8, -0.49% dropped by 9 cents, or 0.5%, to $17.20 an ounce. The modest weakness for gold futures come after they notched their 11th consecutive higher settlement on Friday. That’s the longest winning streak for a most-active futures contract based on data from FactSet going back to late 1984. The recent rally for gold GLD, -0.02% may have been powered by short-term traders. 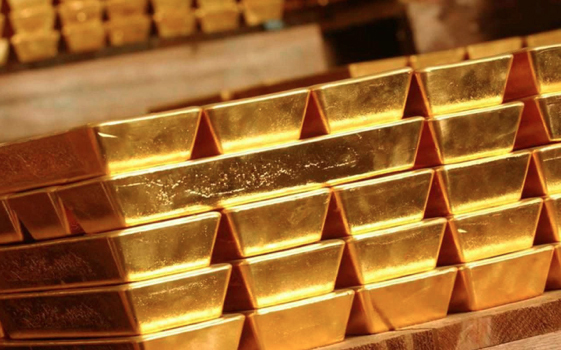 “The CFTC’s statistics published on Friday evening showed once again that the 6% increase in the gold price since mid-December was driven largely by speculation,” the analysts wrote in a note Monday, referring to U.S. Commodity Futures Trading Commission data.